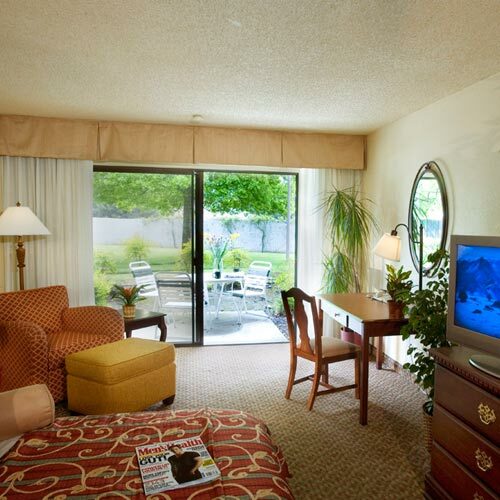 The hotel is situated in a residential-style setting nestled under mature shade trees. Some first floor units have sliding glass doors leading to the grounds. Smoke free premises. 123 units. 3 stories, interior corridors. Accessibility (Call). I-880 exit 17 (Mowry Ave), just se. 5400 Mowry Ave 94538.